Learn more about your co-op's involvement in community events, charitable giving, and recognition, as well as updates about storms, outages, infrastructure, and solar energy projects. You can follow what's going on a number of ways. Like us on Facebook, check out our YouTube channel, read our monthly newsletter inserted inside Georgia Magazine, view our photo galleries, and browse our blog. Notice of unclaimed funds. Coastal Electric may have a refund for you! 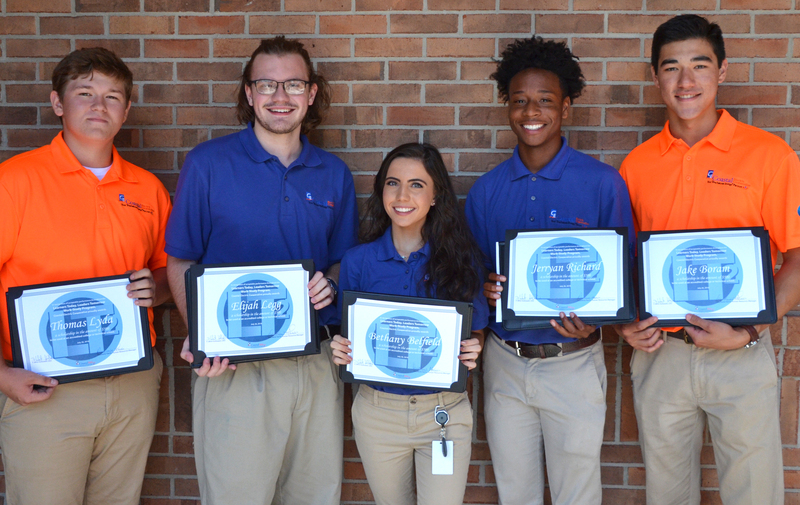 The Learners Today, Leaders Tomorrow program at Coastal Electric Cooperative introduces rising high school seniors to career opportunities in the electric cooperative industry. This summer work-study program is a valuable opportunity for students seeking on-the-job training to sharpen their existing skill set while earning a salary. (From left) Trent Lyda, Eli Legg, Beth Belfield, Jerryan Richard and Jake Boram completed our 2018 Learners Today, Leaders Tomorrow work study program. The application deadline for our 2019 program is April 25.